In recent decades, Buddhism has gained wider recognition among believers and non-believers alike, with Buddhist wisdom increasingly integrated in different arenas of our daily life. In the modern day psychosocial setting, much alignment has also been drawn between Buddhist concepts and the practice of counselling and pastoral care, leading to the rising demand for Buddhist counselling service. In Hong Kong, where Buddhism is one of the most popular religions with a representation of around one million followers, Buddhist chaplaincy service is in great demand and yet service provision is extremely scarce. 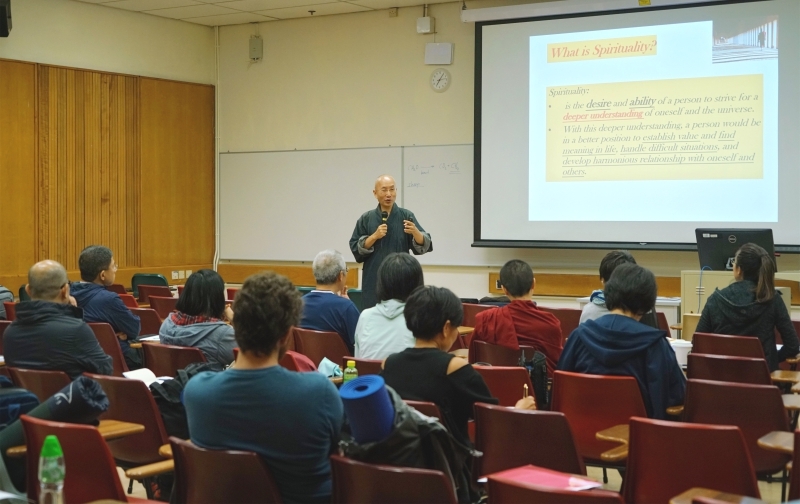 To bridge the drastic service gap and further promote the standards and quality of Buddhist counselling services in Hong Kong, the Foundation has supported the Centre of Buddhist Studies at The University of Hong Kong (“HKUCBS”) to establish a whole new Master’s Program of Buddhist Counselling (“MBC”). Launched in the fall of 2018, MBC is the first professional degree in Buddhist counselling in Asia aiming to address the need for quality assurance in the field of Buddhist counselling and train Buddhism-affiliated, competent and ethical practitioners for the care-giving profession. With a comprehensive curriculum, MBC is designed to support a wide range of career paths, including healthcare and caregiving professionals, educational professionals, members of the disciplinary forces, and any other persons who are interested in the study of Buddhist counselling for personal enhancement. Students practicing yoga in the class of "Spiritual formation through contemplative practices"
It is expected that over five years, MBC will have 130 graduates and among them 15 to 30 will be further trained to become Buddhist counsellors to offer their service to those in need in various domains including schools, hospitals, prisons and NGOs. This addition, though still far from meeting the huge demand, will still make a significant difference so that more of the sick, dying and bereaved can receive spiritual support in the Buddhist tradition. The Foundation also envisions that the MBC program will further advance our synergies with existing partners including the Centre for Spiritual Progress to Great Awakening on the expansion of its Buddhist chaplaincy service, Jockey Club Home for Hospice and Haven of Hope Christian Service and further promote quality Buddhist counselling services in the community. 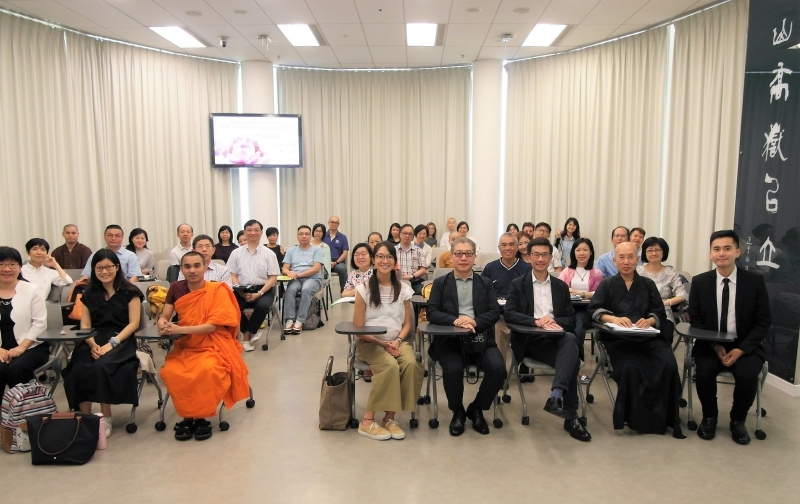 For further details of the MBC Program, please visit https://www.buddhism.hku.hk/programmes_mbc.htm.